Much like Nintendo, Sega knows that it's sitting on a hefty backlog full of fan-favorite IP. 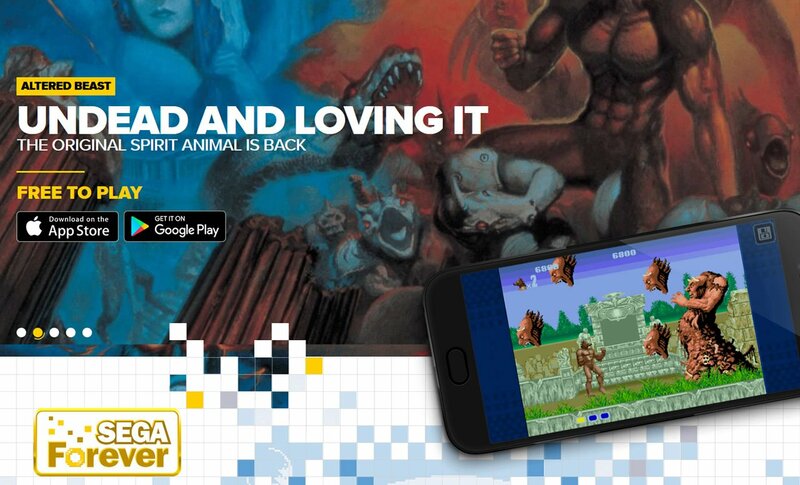 Unlike Nintendo, however, Sega doesn't plan on releasing a small set-top box packed with a few classic games — instead, the company has revealed an all-new service titled Sega Forever that will allow retro fans to enjoy classic Sega titles on their mobile devices. Even better, players can enjoy the games entirely for free if they so choose. Here's the breakdown on everything players can expect with the new Sega Forever service. What Sort Of Features Do The Games Support? Games included in the Sega Forever collection aren't grouped together in a single app like players might expect. Instead, each game will download as its own unique app, which can save on precious storage space for players that might be running low. Since the games are free, players might anticipate them having ads, and this is true — ads will be displayed at places like the start and save screens as well as when the game launches. However, users can pay just $1.99 to disable ads and formally unlock the game. Most of the games should be more than playable with simple on-screen virtual controls, while some of the games — like ports of Dreamcast titles — will likely have updated controls that are designed with mobile devices in mind. However, every game should support Bluetooth controllers, so players will always have an physical control option on-hand, which will be particularly handy for those playing games on things like the Apple TV or Amazon Fire devices. 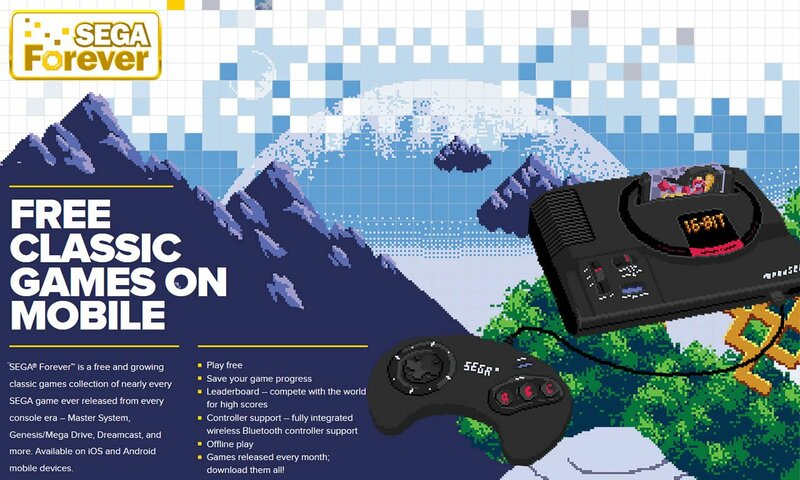 Games in the Sega Forever collection will also support several modern-age features, including cloud save support, online leaderboards, and even online multiplayer in compatible titles. Players look to play the game offline can also enjoy local saves, assuming they pay the $1.99 per-game fee. What Games Are Included With Sega Forever? For right now, the Sega Forever collection is limited to just five Sega Genesis games: Sonic the Hedgehog, Comix Zone, Altered Beast, Kid Chameleon, and Phantasy Star II. However, Sega plans to add a number of titles that "will include both official emulations and ported games that pan all Sega console eras." This support should cover games from the Sega Dreamcast era all the way back to Sega's earliest console, the SG-1000. Since SG-1000 titles will be supported — and since the SG-1000 never came to North America — North American players may have the chance to play classic Sega titles that never before made it to western shores. Even if they don't, however, reports indicate that Sega has three years worth of titles ready to launch, including other big-name hits like Revenge of Shinobi and Jet Set Radio. What's The Best Way To Download Sega Forever Games? When Will They Launch? Downloading games from the Sega Forever collection should be fairly straightforward. Since each game will be released as its own individual app, mobile users need only search for the game they'd like to play on either the Apple App Store or the Google Play Store. It's unknown whether or not games from the collection will release for the Amazon App Store, but keen Android users can always find a way to access Google's market. As for when new games will launch, Sega has announced plans to release new games under their Sega Forever banner every two weeks. It's unclear whether or not that means players will get just two new games a month or possibly more, but it does at least mean the Sega Forever collection will steadily expand as time goes on. Sega isn't the only company filling up their ranks with addictive free-to-play titles. To discover more excellent freebie titles, check out our list of the Best Free To Play Games.